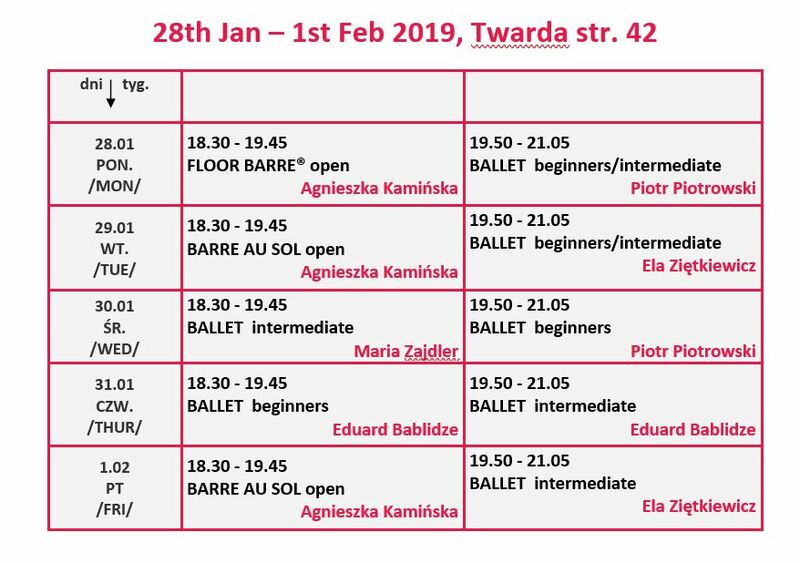 Come and join us during Winter Break Ballet Dance Workshops in Warsaw Dance Studio! Fees according to regular fees. Class level description is published below regular schedule here.